As part of its corporate social responsibility (CSR) activities, Kyocera Corporation (President: Hideo Tanimoto) hosted the 3rd Cultural Exchange Tour for Vietnamese Children to visit Japan in the hope that they will grow up to become international citizens who will contribute to a more harmonious global society. 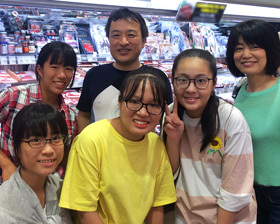 During the tour, children from Hanoi, Hung Yen and Hai Phong experienced everyday life and customs in Japan from July 31 to August 6. The program aims to provide children with firsthand experience of different cultures so that they can in turn act as a bridge for Vietnam-Japan relations, and to lead prosperous and fruitful lives as leaders in various fields in the future. 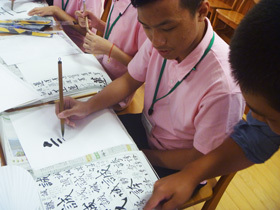 The tour included visits to Kyoto, Shiga and Osaka with a variety of programs to experience culture and life in Japan. During their stay, the children experienced Japanese traditional culture by visiting Fushimi Inari Taisha, known worldwide as one of the most iconic shrines in Japan, as well they learned about Japan's modern technological developments by visiting the Osaka Science Museum and the Knowledge Capital, a core facility of the Grand Front Osaka. 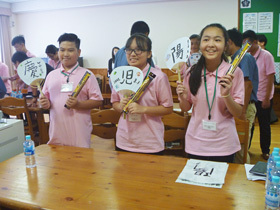 In addition, they visited a middle school where they interacted with Japanese students of the same age. The children also discovered Japan's culture of monozukuri, Japanese manufacturing style, through a factory tour at Kyocera's Shiga Gamo Plant. 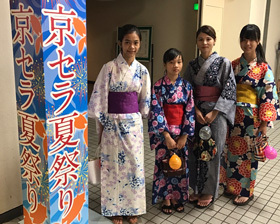 A reception was held at Kyocera's headquarters to welcome the children and encourage them to utilize their discoveries in a different culture for their future. For the second half of the tour, the children experienced Japanese life through a three-day home stay with Kyocera Group employees. The program was organized based on the experiences of Kazuo Inamori, founder and chairman emeritus of Kyocera Corporation, as he was deeply moved by cultural interaction during his first visit to the United States for a business trip. In 1976, Kyocera began inviting Japanese children on foreign tours, reflecting Inamori's hope that providing children with opportunities to interact directly with foreign cultures will help them to develop broad perspectives and dreams for the future. Since 1978, Kyocera has conducted the tour for children from foreign countries to visit Japan with 1,000 children having participated to date. Vietnam is the third country from which children have taken part in the tour, following the United States and China. These are countries where Kyocera has large-scale manufacturing bases. As Vietnam stands out among emerging nations for the continued high economic growth rates, it has increasingly gained importance for Kyocera. 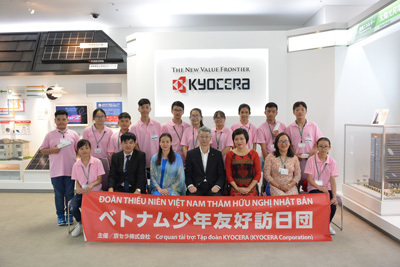 For three years in a row Kyocera has invited Vietnamese children to Japan as part of our social contribution to Vietnam.